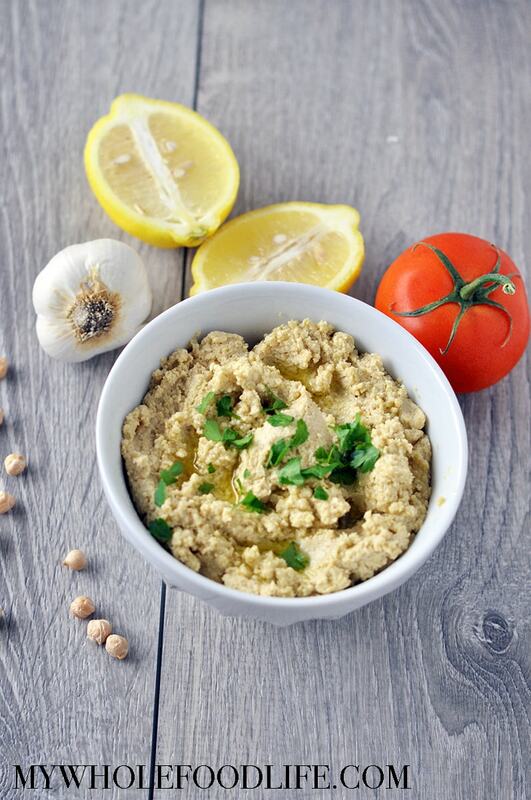 If you are someone who needs a visual, this is how I make the base for all my hummus recipes. Then, you can make any flavor you like by adding your favorite ingredients! So far my fave is roasted red pepper hummus. So delicious! For more videos, you can subscribe to my You Tube channel. This Roasted Garlic Hummus Recipe is not only easy to make, but it's super flavorful too. Vegan and gluten free. You will want to eat it on everything! Add the chickpeas to a food processor and blend for a minute. Then add the remaining ingredients, except water and blend. Slowly, a little at a time, add the water until you reach a desired consistency or creaminess. This hummus should last several weeks in the fridge. Enjoy! I think I'm in love. Roasted garlic is so sweet and buttery. Great method for roasting. I love the "window" idea using the bowl. Thank you for sharing. Roasted garlic taste was just amazing. I have tried this for my lunch and really it is great in taste. Oh! Good to know! Thanks for clarifying- I look forward to trying it. Can you use Almond Butter instead of Tahini? Thanks! Sure, but it may change the taste a bit.